School groups, Home school groups, Charities and Youth Club groups can all bounce at ZAPspace at a discounted rate. Just £5 per person for groups of over 20 for a full hour of Freestyle Bouncing! Offer valid from 11am – 5pm Mon-Fri. Subject to availability. What year groups can bounce? You must arrive 30 minutes before the allotted time to allow us to process the waivers and show the safety briefing, before one hour of bouncing. If you would like to book another hour we can offer schools exclusive hire of the park for 2 hours for £500 + vat for weekday bookings, during term time only. How many pupils can bounce at any one time? 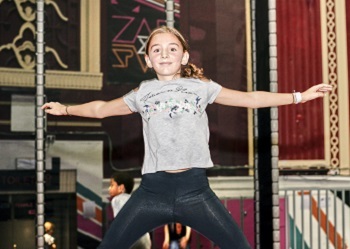 Our trampoline park has a capacity of 92 bouncers but if you were to book 2 hours you could run a one hour session for each child for up to 184 kids! Make sure you fill out the waver forms before you arrive. What days of the week is the scheme available? The sessions are available throughout the week during term time, from 11am to 5pm. How many members of staff will need to attend? 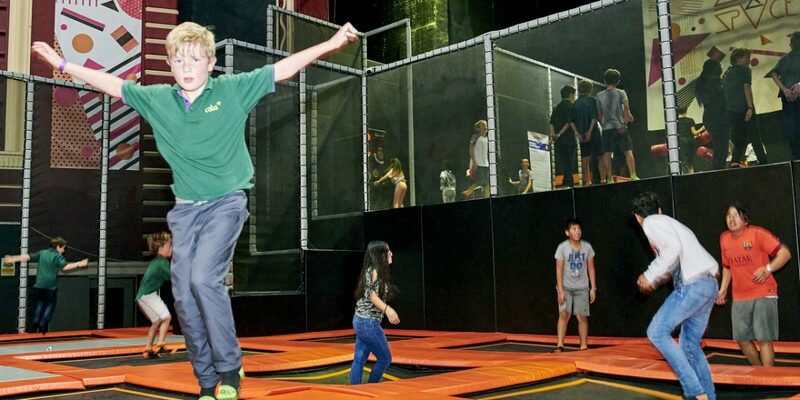 Our friendly staff will be on the trampolines to ensure everyone has a fun and safe bounce. Your staff will need to take responsibility for getting the pupils to the park safely, looking after the pupils during the check-in process and then ensuring that they are either collected by their parent/guardian or returned to school. Will the children get lunch or snacks? Lunch for each child can be booked with 48 hours notice. Children will get a sandwich, crisps and a drink for £4. Jumping and food don’t mix well so we advise any eating and drinking is done after bouncing. Each parent or guardian MUST sign a waiver before their child can bounce. We will have these sent out in advance. For safety and hygiene, each pupil MUST bounce in specially designed and approved grip-socks. These are sold at £2 a pair and are reusable. Notification of any food allergies must be made at the time of booking if ordering lunch.